Fairmont State University is a public university offering six associate degrees, 80 baccalaureate degrees, and 5 graduate degree programs. Fairmont State University is a public university offering six associate degrees, 80 baccalaureate degrees, and 5 graduate degree programs. 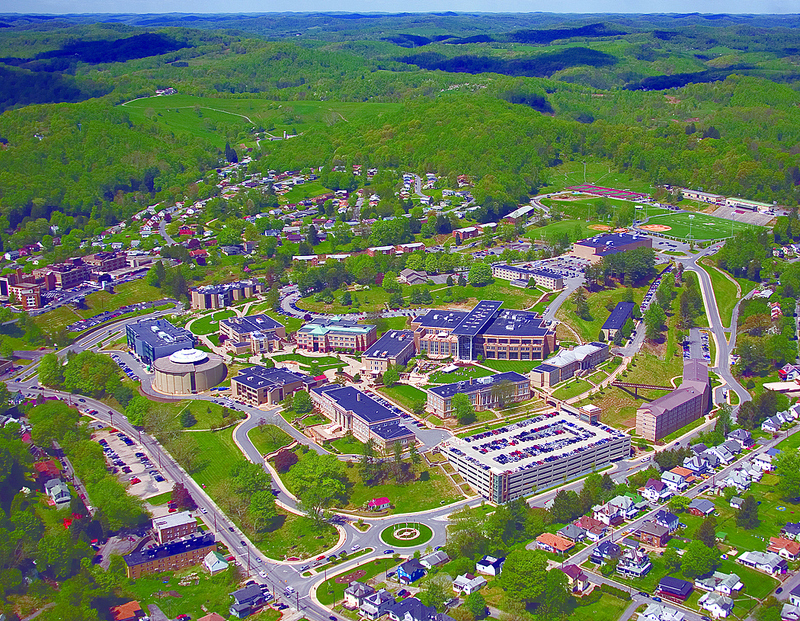 Fairmont State is a 120-acre campus located among the hills of Fairmont, West Virginia, the Friendly City. Fairmont is situated in the growing high-technology corridor, and is an easy traveling distance of several metropolitan areas including Pittsburgh, Pennsylvania (120\kilometers to the north) and Washington D.C. (330 kilometers to the east). The University boasts a faculty to student ratio of 17:1 and an average class size of 22 students, which provides an optimal environment for your education. Fairmont State also offers over 60 student organizations and campus activities ranging from Greek Life and Student Government to intramural, clubs sports, and 16 NCAA Division II athletic teams. International Student Scholarship: Covers $8,714 per academic year; two recipients per year; application deadline of February 1st; application and credential requirements available on the FSU website at www.fairmontstate.edu. Academic scholarships available for international students on an individual basis per campus scholarship application. Other: Visit the FSU website at www.fairmontstate.edu for detailed application instructions and apply online. The University is accredited by Higher Learning Commission of the North Central Association of Colleges and Schools; Engineering Technology is accredited by the Accrediting Board of Engineering Technology. The Information Systems, Accounting, and Education Programs have all been nationally recognized for academic excellence. Intensive English program support is offered throughout the year for international students the English as a Second Language Program at Fairmont State University. Fairmont has on-campus housing which includes an international living-learning community in the honors residence hall. Off-campus housing can also be facilitated for international students. Meal plans have multiple options that adhere to dietary restrictions. Fairmont State University’s roots reach back to the formation of public education in the state of West Virginia. The first private normal school in West Virginia was established in Fairmont in 1865 by John N. Boyd, the school’s first principal, to train teachers. Over the past 147 years, the University has experienced many changes in name – from the West Virginia Normal School at Fairmont, to the Fairmont State Normal School in the 1870s, to Fairmont State Teachers College in 1931, to Fairmont State College in 1944, to Fairmont State University in 2004. These changes indicate an ongoing expansion of programs and purpose. In 1923, the Fairmont State Normal School first offered a four-year bachelor’s degree program in education, making the school a college. Today FSU offers more than 80 baccalaureate degrees in business, education, engineering and technology, fine arts, liberal arts, and nursing and allied health administration. Graduate programs have been developed in education, business and criminal justice. From that single columned building on a hill that was once part of a dairy farm, the University’s 120-acre campus has expanded to include more than 23 buildings. Over the past decade, new construction, including a new student center, parking garage, residence hall, and academic building, as well as major improvements in infrastructure, have greatly impacted the accessibility and beauty of campus. FSU features two satellite locations in Harrison County, the Gaston Caperton Center in Clarksburg and the Robert C. Byrd National Aerospace Education Center in Bridgeport. FSU continues to look for ways to reach beyond the borders of West Virginia and the nation to build relationships.